The BBC is to give up competing with commercial radio stations for audiences to focus on the threat to its future from music on Spotify and podcasts via Apple. James Purnell, the BBC’s director of radio, will signal the shift this week by declaring he does not “care” about audience share or beating commercial stations in the battle for listeners. In a speech seen by The Sunday Telegraph, Mr Purnell will say that the BBC need to change quickly and shift spending away from its traditional broadcast programming to serve younger and more diverse audiences better. BBC radio has been losing ground to commercial broadcasters such as Global, company behind the phone-in station LBC which uses high-profile politicians such as as Nigel Farage and Sadiq Khan as presenters. TalkSport, part of the Wireless Group now owned by Rupert Murdoch’s News UK, has been buying football coverage rights. 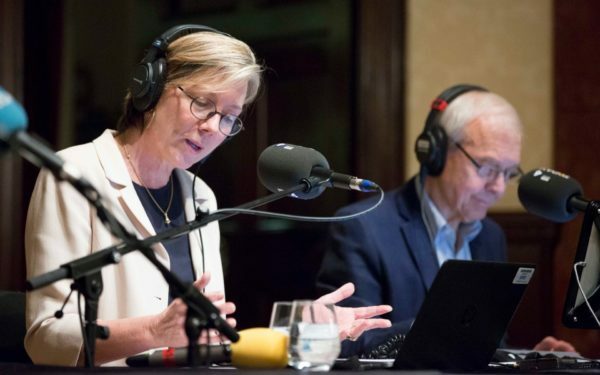 The explosion of capacity delivered by DAB and the internet have allowed rivals to challenge Radio 4 and Radio 5 Live. Commercial radio is now reaching a bigger share of the population than the BBC according to industry figures known as the RAJARs. CBC Radio 2 needs an urgent refresh as they are consistently at the bottom of the heap in ratings. Considering the success of Radio One, perhaps they should start running some news and public affairs programs on Radio Two during the day, and stick to music at night. Somethings got to improve or the plug will have to be pulled, quick. CBC Radio 2 is taxpayer-funded. They don’t have to perform. I hope the BBC leaves Radio 3 alone! And CBC might try a return to playing civilized music on Radio 2; their current mix of unappealing singer/songwriter stuff and bleeding chunks of classical pieces is not working. Replacing the interesting commentary of their knowledgeable hosts with the giddy segues they feature now didn’t help either.